Jackson had surgery at Yale to put in a med-a-port for his future treatment. This is a much better option than Jackson’s previous broviac. The port is all internal and as a result he can take baths, showers, and go in pools – live a normal 2 year old life. 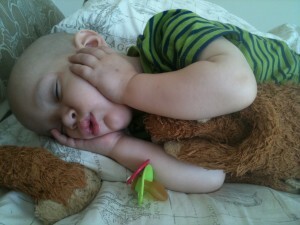 The surgery was short and sweet and Jackson returned home to nap off some pain medications by the early afternoon.